© 2006 Bad Boy Records LLC for the United States and WEA International Inc. for the world excluding the United States, South America and Central America. 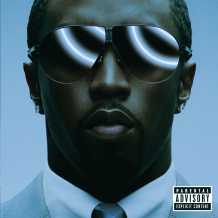 Diddy for The Hitmen/Bad Boy Entertainment Inc. DURO.....The Chairman of the Boards for Chairman of the Boards/Loreal Inc.
DuroCeo for Chariman of the Boards/Loreal Inc.
Havoc for Kejuan Entertainment Corp.
K-Def for Ghetto Man Beats LLC/Paperchase Inc.
Ken 'DURO' Ifill for Chairman of the Boards.Loreal Inc.
Rich Harrison for Richcraft, Inc. Rob Lewis for Blacktrak Entertainment, Inc./The M.O. SC for Fort Knocks/N.Q.C. Management LLC. Supa Engineer DURO for Chairman of the Boards/Loreal Inc.